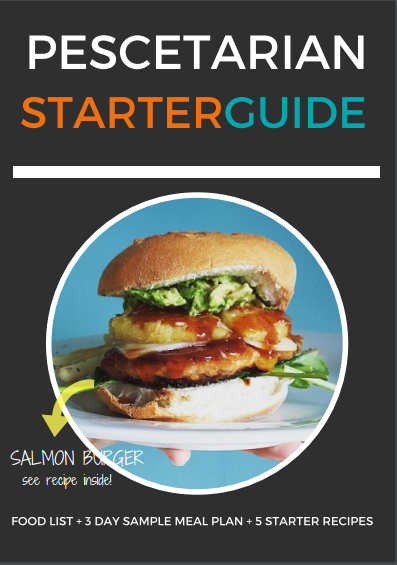 Fishy Vegetarian: Your Pescetarian Diet and Lifestyle Resource! You've just found the best community online for pescatarians just like you who want a positive lifestyle change, not a restrictive diet change. How many times have you been in this exact position before? Let’s go way back to December 31, 2013. We were in Times Square waiting for the ball to drop. Okay, fine, we were at home, on the couch, (probably in sweats) waiting for the ball to drop on tv in Times Square. As the cool kids do, you know? Tamryn was digging into her sixth, maybe seventh nutella smothered cupcake. I was arm deep in a bag of potato chips, probably ketchup flavoured. It was NYE after all, as good as an excuse as any to stuff our faces.